The Bulgarian Program for Residency and Citizenship was created by the Bulgarian Government to encourage foreign investments by offering special incentives to investors from non-EEA countries. In exchange for their financial contributions, investors are offered the opportunity to secure a permanent residence permit, and can also apply for Bulgarian citizenship by investment and passport via the Fast-Track Citizenship option. An understated beauty in southeastern Europe, Bulgaria offers a rich culture and the perfect combination of nature, history and metropolitan cities. 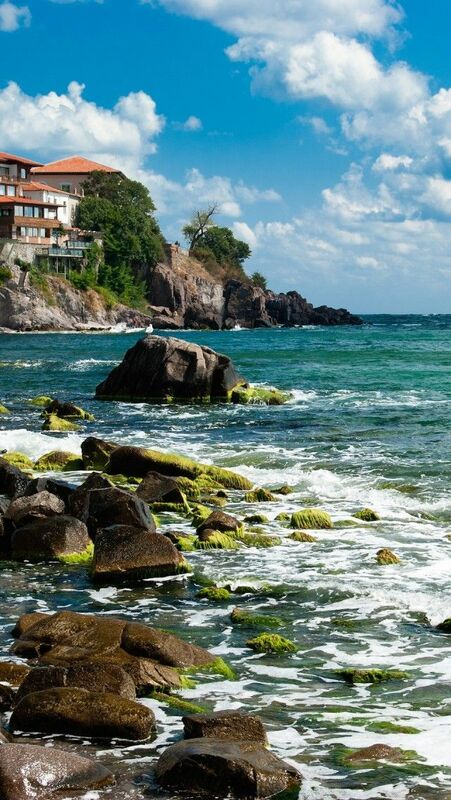 With the breathtaking Balkan Mountains, Black Sea beaches, rolling hills, majestic waterfalls and intriguing caves, Bulgaria is ideal for all types of outdoor activities including hiking and skiing. From big cities like Sofia, Plovdiv, and Varna, to rural villages like Leshten and Kovatchevitsa, Bulgarian living has lots of offer. A vibrant country in all senses, it's steeped in history with cliff-side monasteries, tombs, palaces, churches and historic towns, while its modern cities offer nightlife, world-class dining and an abundance of culture. 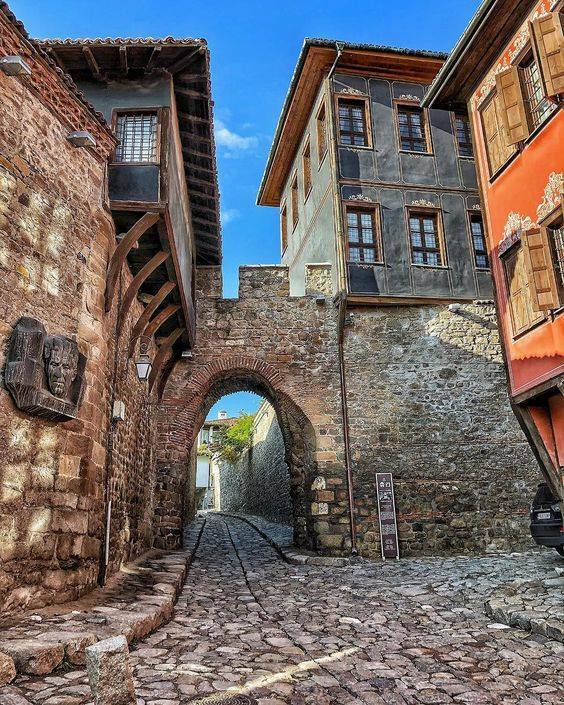 Bulgaria's stunning landscape, quaint cities and friendly people make it a wonderful place to visit and live. Plus, ever since joining the EU in 2007, Bulgaria has even more benefits to offer. 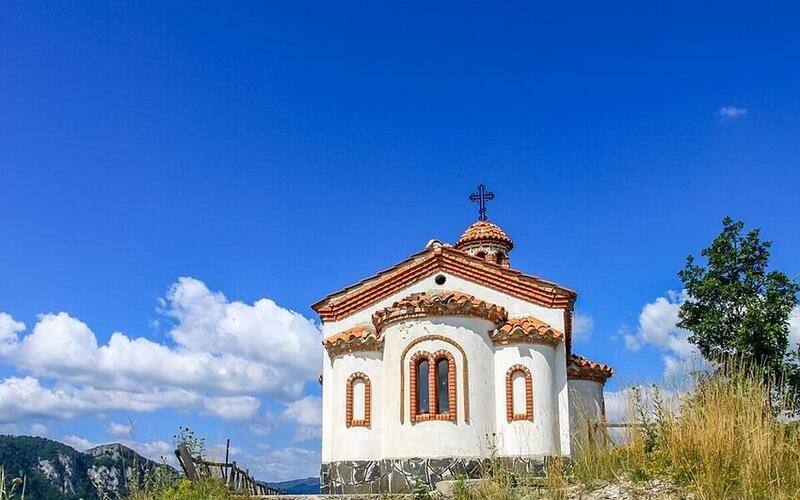 Bulgaria is a fairly conservative, traditional country, so good manners and respectful etiquette go a long way. It is always good practice to familiarize yourself with the Bulgarian customs and etiquette of the local culture. This will help you maneuver around more seamlessly, interact with locals, and ensure that you are respecting the country’s expectations when it comes to behavior and manners. Bond Investors in the Bulgarian Program for Residency and Citizenship can apply for a citizenship after 5 years. There are three different investment pathways and it is possible to fast track the standard citizenship option by doubling the investment amount of €511,292 (or €195,000 respectively). Investors must deposit Bulgarian Lev (BGN) 1 million (€511,292) in a Government bond portfolio for five years with no further payment required. At the end of the five-year period, the full amount will be returned to the investor without any accrued interest. The investment is fully guaranteed and secured by the Bulgarian state. The investor pays a reduced amount of €195,000 for the purchase of Government bonds, which is used to finance a closed five-year term loan from a chartered bank. This enables the investor to secure permanent residency for their family and themselves. No further payment is required, and no amount is refunded to the investor at the end of the five-year period. This option is recommended for candidates whose liquid assets are not readily available to pay the full required investment sum, or for those who want to leverage their existing capital for other projects. 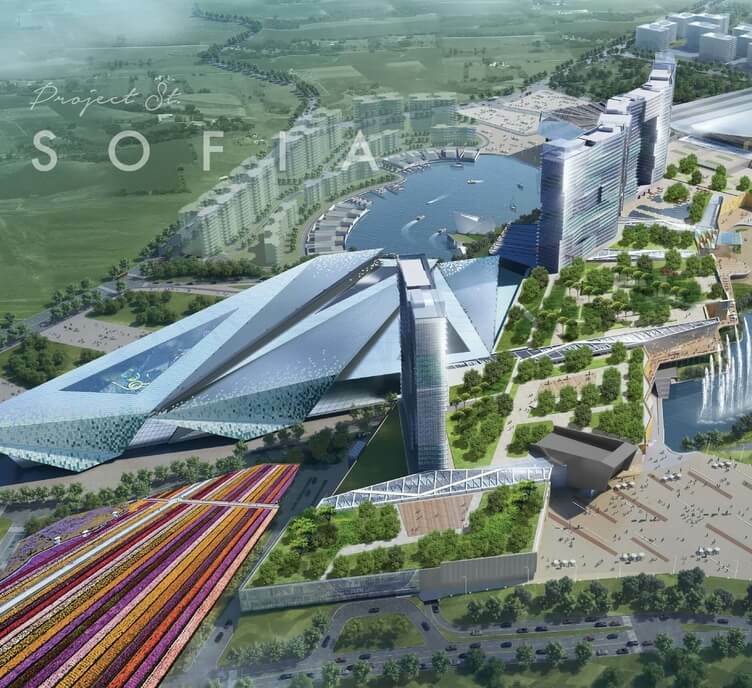 Bulgarian government now offers permanent residency and citizenship option by investing at least BGN 1 million (€512,000) in Project St. Sofia. Doing so enables you to apply for permanent residency in Bulgaria. After 5 years, you are eligible to apply for Bulgarian citizenship, provided that you meet all of the other requirements. You can also apply for the fast-track option by doubling your initial investment with at least another BGN 1 million (€ 512,000). Has been a permanent resident for at least 1 year via investment in government bonds - €511,292 (or €195,000 respectively). Has invested an additional amount of €511,292 in government bonds. This amount can be financed against a down payment of €110,000. Will maintain both investments for at least two years after securing citizenship. The standard processing time required by the Ministry of Justice to provide an official response to a Bulgarian citizenship application is up to 6 months. Make the minimum required trips to Bulgaria. Personal net worth greater than €1,000,000 is required by the financing bank for the Financed Investment option. For the Full Investment option, the net-worth requirement is €511,292 only. Investment Certificate issued by the Ministry of Finance confirming a direct foreign investment of BGN1,000,000 (€511,292), as per the statutory procedures, in guaranteed governmental bond portfolio for a period of 5 years. Must be older than 18 years old. Must have maintained permanent resident status for the past 5 (or 1) years. Must have never been sentenced by a Bulgarian court for a capital offense and nor been accused in criminal proceedings for such a crime unless he has been rehabilitated. *To clarify the 5 vs. 1 years distinction: If an investor applies via the Standard Investment route, then they will be eligible to apply for Bulgarian citizenship after 5 years. However, if they pursue the Fast-Track investment option and meet its requirements, then they will be eligible to apply for citizenship after 1 year of permanent residency. The Ministry of Justice requires a processing period of up to 6 months to provide an official response to a citizenship application. How to apply for Bulgarian citizenship? Have in mind that your application for Visa D or permanent residency can be refused for security reasons. For more details and full list on the different cases visit this page. After the Main Applicant receives an official Bulgarian ID card, their family members can then apply for their permanent resident cards. The process may take up to 3 months and includes two mandatory trips to Bulgaria for each qualifying family member. The application fees associated with the Bulgaria investor program include government application fees, legal and translation fees, and service fees related to background verification and validation of the source of funds. Application fees are subject to change, therefore, please contact us to obtain the most updated information. There are countless reasons why a Bulgarian dual citizenship is an excellent opportunity for investors to expand their reach into the EU. Here are some benefits of securing Bulgarian citizenship by investment. Fast-track option to Bulgarian citizenship within 2 years. Many new international business opportunities. Bulgaria also has the lowest tax rates and free-trade environment within the EU are just few of the advantages of doing business in Bulgaria. Bulgaria offers the lowest labor costs in the European Union. Bulgaria’s workforce is qualified, highly-educated, multilingual, and extremely skilled. Family members (spouses and unmarried children under 18) automatically qualify for Permanent Residence status. All children regardless of their age and marital status can apply for the Bulgarian citizenship as soon as the Main Applicant (MA) becomes a Bulgarian citizen. Passive investment in government bonds. Bulgaria’s strategic position provides easy access to all EU member states, the Russian Federation, Mediterranean countries, the Near and Middle East, and Southwest Asia. Beautiful nature with a perfect mix of sea, valleys and mountains. 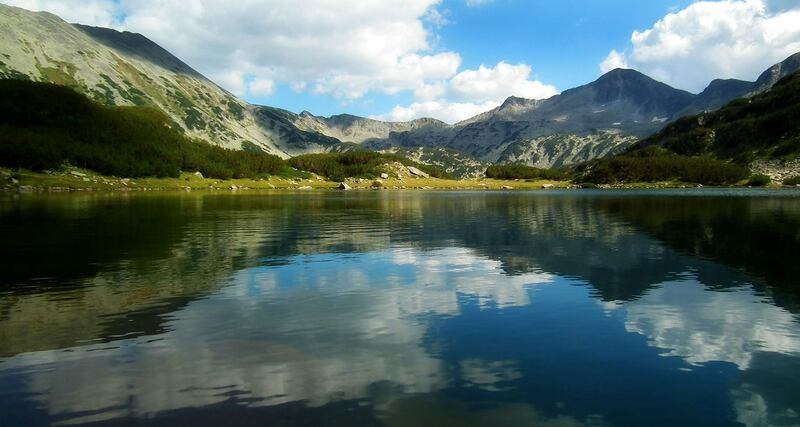 Bulgaria is a tourist destination which is famous all over the world and is know for its beautiful scenery. The Struma Motorway and other infrastructure projects are driving growth in the construction industry, which is expected to grow another 2.5%, each year, between 2016 and 2025. The World Bank is lending €550 million, specifically to strengthen the nation’s electricity and energy services. Bulgaria is a key hub for international trade and finance and also has a wealth of local IT expertise. Freedom of mobility within the Schengen zone once Bulgaria officially becomes a member state. Access to high-quality health care and education in Bulgaria and the EU. Health care has advanced to the point that medical tourism is an established business. Foreign visitors who come to the country for medical treatment obtain appropriate temporary residency. The quality of health care is exemplified in organizations such as Tokuda Hospital Sofia. Visa-free travel to designated non-EU countries. Housing and raw land prices are low. They have been rising but are still among the lowest in Europe. Businesses need land for manufacturing plants, storage, retail, and office space. Residential housing is also low-cost. This means a resident can either save money after buying a home, to invest elsewhere, or can afford a much more lavish home than would be available for the same price in another country. Another benefit of home ownership is that maintenance costs remain low. Unrestricted right to live, retire, work, study and run a business in Europe. Bulgarian passport give you the freedom to travel and work throughout the 27 EU nations, including visa-free or visa-on-arrival travel to 160+ countries and territories, including Canada. For a full list of eligible countries, their various visa distinctions, and the time allotted in each country per the visa, please visit the Ministry of Foreign Affairs of Bulgaria website. Access to free education and/or reduced tuition costs within the EU. Schooling is compulsory until the age of 16. Schools are domestic, private, and foreign. Some foreign and private schools emphasize language skills, so students may choose a school with an emphasis on, say, English, French, Italian, German, Russian, or one of many other languages. There are 51 institutions of higher education in Bulgaria. They include everything one might expect in a university curriculum. Bulgaria, therefore, has a well-educated workforce, skilled in academic and technical subjects. Many Bulgarians speak more than one language, which makes them attractive employees. The strong work ethic and low labor costs add to these benefits. Access to health care facilities throughout the EU. Consular protection within the EU. Attractive tax incentive schemes for capital investment. For more details about the financial nuances of a second citizenship in Bulgaria, please check this guide. Where I can check if the Bulgarian Investor Program is legitimate? A: The statutory provisions of the Bulgarian Immigrant Investor Program are stated by an amendment in the Foreigners in the Republic of Bulgaria Act (FRBA) law and published by The Bulgarian State Gazette, issue 36 (May 15, 2009). The InvestBulgaria Agency, a division of the Bulgarian Ministry of Economy, Energy, and Tourism, is endorsed to promote and support the Bulgarian Immigrant Investor Program. On their website, you can find a great deal of information regarding the investment climate in Bulgaria. Are there any restrictions regarding nationality or religion in applying for the Bulgarian program? A: There are no nationality or religious restrictions that limit anyone from applying for the Bulgarian investor program. What kind of personal net assets are acceptable for participating in the Bulgarian program? A: The most common assets that are acceptable are cash, property, business and investment certificates, including bonds, stocks, and gifts from your parents. You may combine assets with your spouse to show total personal net assets. How do I demonstrate the legal source of my assets? A: You should sign a sworn statement outlining the way in which your assets had been acquired and provide substantiating documentary evidence. For example, you have €2 M in cash from the sale of property; this must be reflected in a bank account statement as well as producing a sale agreement to prove the legal source of your assets. If I get married or have a child after receiving the Permanent Residency, can I add them as my dependents? A: Yes. You can add them as dependents entitling them to the same rights as you. What is the refund policy if my application is refused? A: If the Permanent Residency is refused after you made the investment, you are entitled to a full refund of the amount you have invested, whether full or financed. Do I make the investment under my name or under a company name? A: The investment is made under your name. Should my investment be wired from my personal account, from a company or from a third party? A: The investment full or financed should be wired from your personal account. As a permanent resident of Bulgaria, can I travel to the USA and Canada? A: Currently, the USA and Bulgaria do not have a Visa-waiver agreement established. Any Bulgaria travelers planning on visiting the United States must first obtain a visa, either a nonimmigrant visa for temporary stay or an immigrant visa for permanent residence. As to Canada, Bulgarian passport grants travelers visa-free entry into Canada. Instead of a visa, all travelers need is an Electronic Travel Authorization (eTA). An eTA is an entry requirement for visa-exempt foreign nationals traveling to Canada by air. It is electronically linked to a traveler’s passport and is valid for up to five years or until the passport expires, whichever comes first. With a valid eTA, you can travel to Canada as often as you want for short stays (normally for up to six months at a time). How do I maintain my Bulgarian permanent residency status? A: As long as you keep your investment in Bulgarian government bonds, permanent residency status is maintained. However, there are several yearly obligations we recommend applicants carry out, such as public health insurance and tax declaration. Do I have to live in Bulgaria during the five-year period? A: No. The uniqueness of the Bulgarian Immigrant Investor program is that the applicant and his family are exempt from living in Bulgaria during the residency period unless they wish to. Once I hold a Bulgarian permanent residency, can I live, study, and work in any other EU country? A: Being an “EU citizen” and an “EU resident” is not the same. An EU citizen is an individual who has a passport from one of the EU countries. An EU resident can be an individual who has obtained the right to work and live in one of the EU countries, but who still holds the citizenship of his/her home country. In this respect, a person who holds Bulgarian PR can live, study, and work in any EU country, but with some restrictions. Can I establish a company in Bulgaria as a permanent resident? A: Yes. You can register and own a Bulgarian company as a permanent resident or a foreigner. What are the personal and corporate tax liabilities in Bulgaria? A: Bulgaria offers one of the most economically stimulating taxation law systems in Europe. Being part of the EU, Bulgarian citizens are given very favorable tax liabilities, and since 2008 a 10% flat rate for personal and corporate tax was introduced. A: As a permanent resident in Bulgaria, you will not pay any taxes in Bulgaria if you do not spend more than 183 days in Bulgaria within each period of 12 months, your center of vital interest is not in Bulgaria, and you do not have any income earned in Bulgaria. Your office is in Canada and if you’re not local, how do you arrange my processing with the Bulgarian authorities? A: This is not a problem at all! With all of the communication channels available in this day and age, it is very easy to coordinate everything. Plus, we have partner offices in Sofia, Bulgaria and Dubai, the UAE to support our clients for the Bulgarian Program. Residency and citizenship programs are not a one-man job. We have partners in each country we work with - lawyers, financial advisers and real estate experts. We all work together to help our clients to achieve their goal of obtaining a second passport. Make Europe your home by securing permanent residency and citizenship in Bulgaria. This Balkan jewel is the perfect blend of nature and city life with majestic mountains, stunning beaches, and vibrant cities. 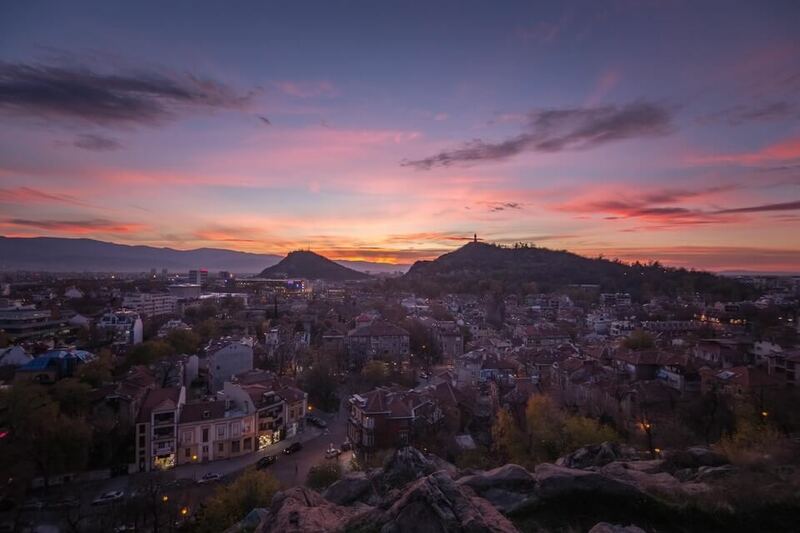 When it comes to mobility, wealth management and business expansion, Bulgaria offers a wealth of wonderful benefits. If you are interested in learning more about the Bulgarian program for residence and citizenship, please contact us today for your free initial consultation.